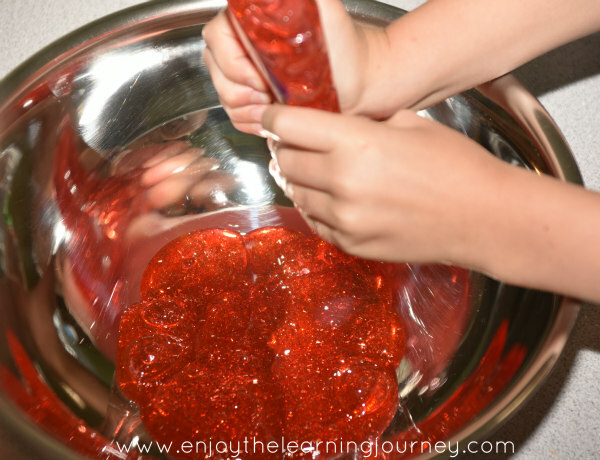 Making slime is a super fun and simple sensory activity for kids. Even older kids and parents can enjoy playing with the big hunk of goo that comes out of mixing a couple of simple ingredients together. 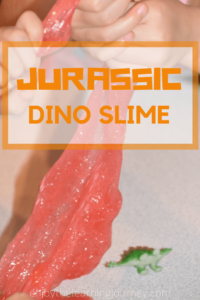 And what better kind of slime to make for dino lovers than this Jurassic Dinosaur Homemade Slime?! 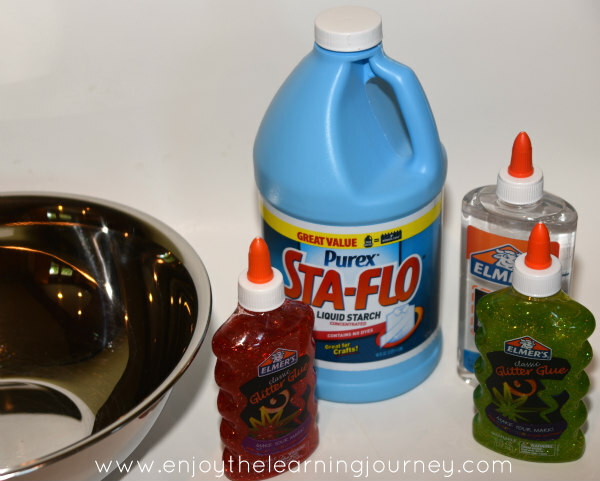 Here’s an awesome slime recipe that will be perfect for your dinosaur fan! 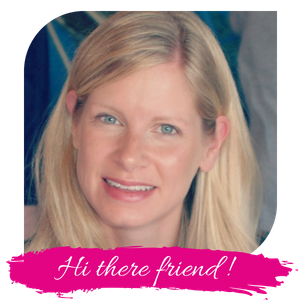 **Note: If you don’t use the Elmer’s brand glitter glue/clear glue or the Purex brand liquid starch, your results may differ. If you use these brands you know you’ll get good results!! 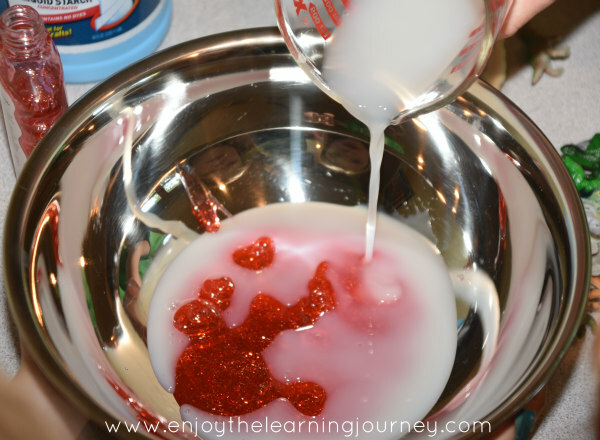 Step 1: Pour the bottle of Elmer’s Glitter Glue into the bowl. Step 2: Pour 6 oz. (3/4 cup) of Sta-Flo Liquid Starch on top of the glue. Step 3: Mix like crazy. But not too crazy or you will get goo all over the place. 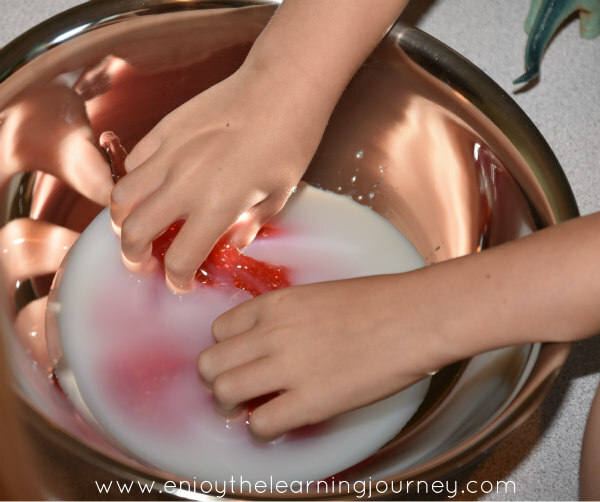 Little hands can mix (it’s sensory activity after all) or use a spoon to mix. Step 4: Mix, knead, mix, knead, until a good consistency is found. 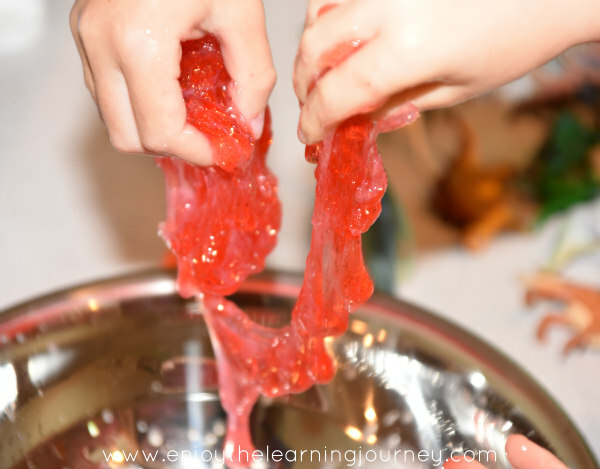 If your slime is still not coming together after a long time of mixing then add either more glue or more liquid starch. Troubleshooting: If the mixture is stringy and sticking to your hands then add more liquid starch. If the mixture is too stringy and slippery than add a little more glue (we added Elmer’s Clear Glue). Step 5: Add dinos and play!